We are happy to share with you the fifth edition of the Smart Mature Resilience newsletter. This newsletter shares the latest project results, updates on project activities in cities and the latest news on critical infrastructure protection and city resilience. SMR is a 3-year EU-funded interdisciplinary research project working for more resilient cities in Europe. For more information on the project’s goals, methods and partners, please visit www.smr-project.eu. The Resilience Maturity Model is now online and ready for you to use! The Resilience Maturity Model provides a common understanding of the resilience building process. While using the Resilience Maturity Model, cities consider and evaluate their current status of resilience. The model then helps to identify the correct policies to implement in order for the city to evolve and move to the next maturity stage. Glasgow City Council is working closely with the University of Strathclyde as well as its Tier 2 counterparts, Rome and Riga, to implement the ambitious goals laid out in its Resilience Strategy as well as holistically building resilience across its diverse community. "The process of co-creation with other European cities is really important for Glasgow," explained Frankie Barrett, City of Glasgow. "Being able to explore challenges that we share together: things like climate change, increased urbanisation, ageing infrastructure, changing populations and being able to use tools like the Risk Systemicity Questionnaire to explore those complex issues, bring together stakeholders and strengthen partnerships has been really important for Glasgow." Local stakeholders worked intensively with all 7 SMR cities and project partners at a review workshop held there from 17-19 May 2017, organised and hosted by the University of Strathclyde. During the May workshop, cities and scientific partners worked closely together to continue co-development of the System Dynamics Model, which is a game-like online learning tool to help strategic managers and other stakeholders involved in budgeting and strategic planning for resilience in cities identify and decide the most efficient and most strategically accurate policies to implement, and the order in which to do this. 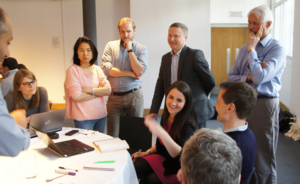 Furthermore, the University of Strathclyde and cities worked on further co-developing the Resilience Policy Tool, which will provide information, examples and case studies of the policies identified through the Resilience Maturity Model and the System Dynamics Model. These networks of risks are presented as risk scenarios, some of which result in vicious cycles. Users progress through the tool by completing questions, which ask them to consider whether defined risks scenarios are likely or not to occur in their cities. Based on the responses to the questions contained in each of the topics of the RSQ, participants are provided with a relative risk score and an awareness score. Users can also access policies recommendations that may be used to address those risk scenarios that are of most threat to the city. and 2) Holistic assessment and decision-making in cities can enhance resilience in Europe. The Risk Systemicity Questionnaire (RSQ) which is one of five tools that shall form new European Management Guideline developed as part of the Smart Mature Resilience (SMR) project. The RSQ contributes to building city resilience through a focus on risk assessment and preparedness for future risks. Smart Mature Resilience is working towards standardized methods to build resilience in European cities. On 21st June 2017, CEN Workshop Agreement: a new CEN WS/88 - Functional Specification for a Resilience Information Portal was successfully launched. This workshop will build on the design principles that led to the development of the SMR Resilience Information Portal. The workshop will aim at developing a list of requirements for how municipalities could equip an information system that facilitates building up resilience through collaboration, communication, and engagement. Standardization work as part of SMR has been led by German standardization organisation and SMR partner DIN, who in April 2017 hosted representatives of eleven European cities and communities as well as scientific experts in the field of resilience as well as the standardization committees ‘Security and Resilience’ and ‘Sustainable cities and communities’ in Berlin. During the event, cities shared how they might see standardization supporting their local resilience-building process. Following this first international workshop, SMR presented its tools and standardization activities to the plenary meeting today in Berlin of ISO/TC 268: Sustainable cities and communities. Further standardization activities are in preparation. The seven SMR cities have shared their progress and goals for building more resilient communities for their citizens. 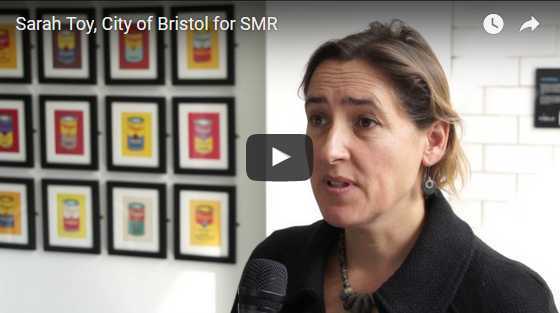 Watch the videos and learn how our cities have been progressing on the SMR website! SMR is proud to have been nominated for a EURID web award! 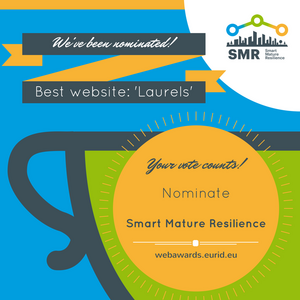 You can support SMR's nomination and help us to make the shortlist by adding your nomination at webawards.eurid.eu. Simply scroll down to the Nomination box and type www.smr-project.eu! Entries close on 4th July! 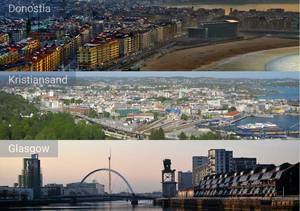 The Smart Mature Resilience project is undergoing another period of local stakeholder training, where local stakeholders in the core cities of Donostia, Glasgow and Kristiansand are receiving in-depth training on the use of the SMR tools that are being developed at the moment. The first stakeholder training workshop took place in Donostia-San Sebastian beginning of June 2017, while the next visit is already planned for middle of July in Glasgow. 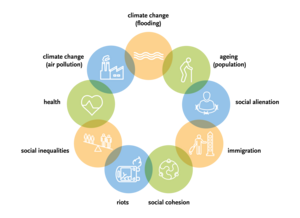 The Resilience Information and Communication Portal serves as a toolbox that can complement and enhance the platforms and software that cities already have in place. City applications of the portal are also available as examples on the SMR website.